Tate Sage by Royal Doulton combines multi colour print with manipulated fabric. The palette and design take inspiration from the pop art movement, a time when colour exploration and design had no boundaries. 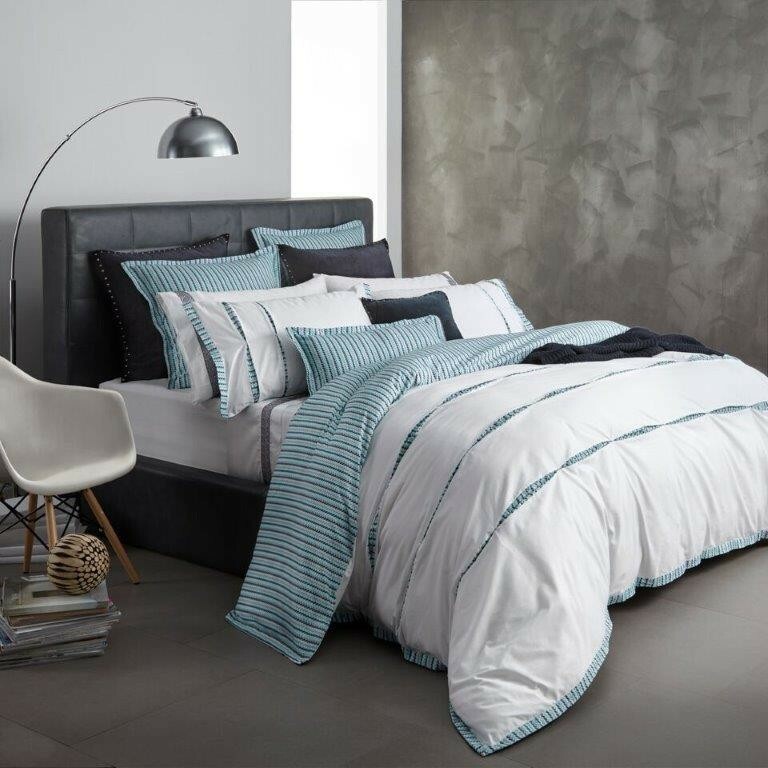 The coastal cool palette is teamed with neutral navy and grey to give a sophisticated and contemporary edge. 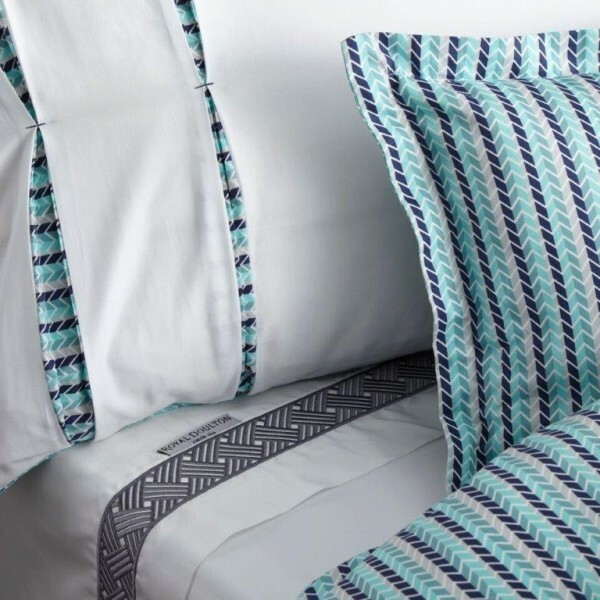 The multi coloured print borders the bed linen, with inset strips of colour in contrast to the crisp white fabric, creating a sense of balance. The reverse features the all-over bold print.